Watches have always had close links to the world of aviation, with many designs that have become legends, and new products every year. This article was published in the magazine Hors Ligne, May 2015. There are several candidates for the first wristwatch in the world, such as Breguet’s watch delivered to Caroline Murat in 1812, but there is no doubt that it was Louis Cartier who established the popularity of wristwatches, as opposed to the pocket watches that were almost universally used up until then. Brazilian-born pioneer aviator Alberto Santos-Dumont was a friend of Cartier’s, and asked him to make a watch that he could wear on his wrist so that he could read the time without taking his hand off the control column. That was in 1904, when Santos-Dumont had already become a personality in Paris for his flying exploits, and his eccentric dress style, with high-collared shirts and Panama hat, became popular in high society. The wristwatch that Louis Cartier made for him, with leather strap and buckle, also became fashionable. The Santos is still part of Cartier’s range. 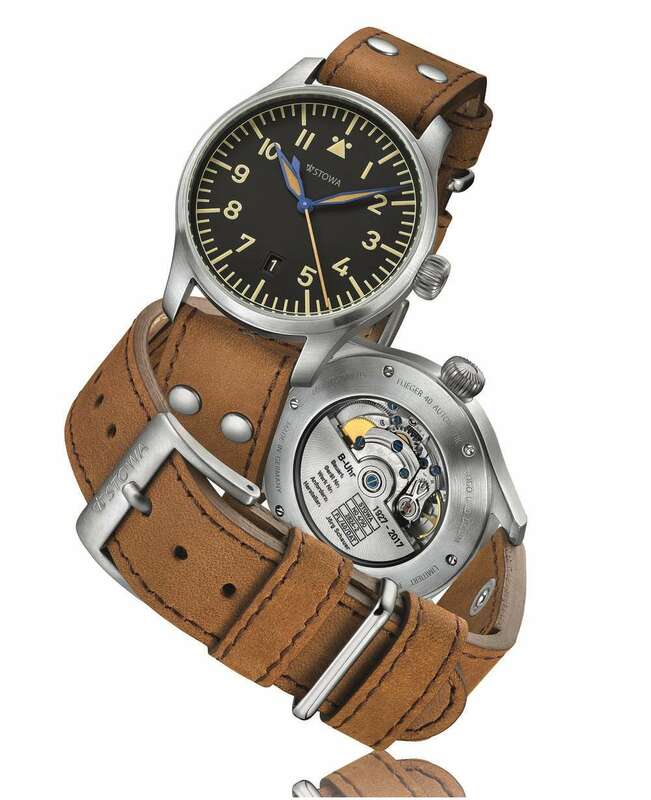 The classic pilot’s watch developed in the 1930s. It had to be easily legible in the cockpit, and so simplicity was essential. Black dial, white numerals, with luminescent coating for easy reading in the dark, a large conical crown for adjustment while wearing gloves: these are the features of the B-Uhr watches supplied to the Luftwaffe by A. Lange & Söhne, IWC, Wempe, Laco, and Stowa, and they live on today in watches by several brands. The “Beobachtungs-uhren,” or observation watches, are characteristic for the triangle at the 12 o’clock position, sometimes with two dots at the apex. Watches of this type are still made by German brands Mühle Glashütte, Tourby, Stowa and Archimede. They were also made by a few high-end brands such as Glashütte Original, but in today’s market, such a simple design leaves little room for the expression of brand personality and so Glashütte Original, like A. Lange & Söhne, have abandoned this area. IWC Schaffhausen is a brand for which pilot’s watches are still an important part of their range, and the Pilots Watch Mark XVII is a perfect expression of the classic pattern. 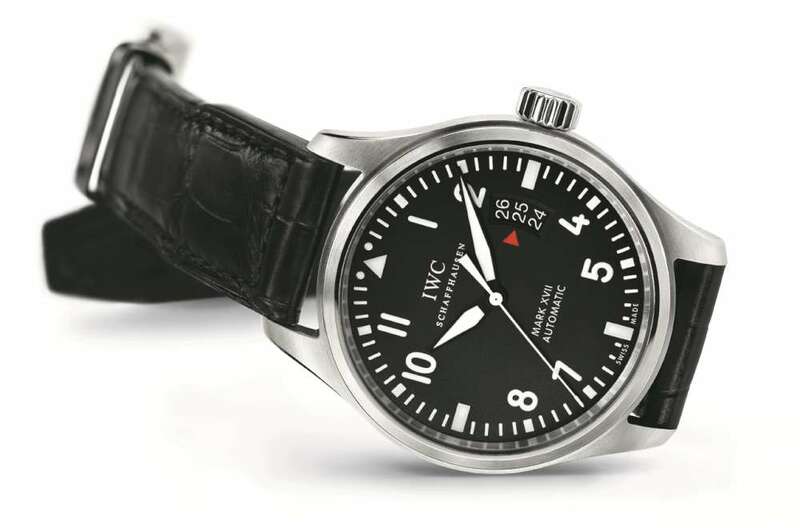 It is based on the IWC Mark II model dating back to 1936, for many years the official service watch for R.A.F. pilots and navigators. It has an automatic 30110-calibre movement with 42 hours power reserve, a soft iron anti-magnetic inner case, and central seconds hand. The date display shows three visible figures aligned vertically against a red triangular index, a reference to a cockpit panel altimeter. Many other brands celebrate the link between timekeeping and flying. Breitling run a whole squadron of aircraft, including the world’s only professional civilian flight team performing on jets. The team routinely performs sequences in which fast and powerful L-39C Albatros Czech-made twin-seater military jets fly at almost 700 km/h to within less than 3 metres one from another, reaching dizzying 8G acceleration. The Breitling Jet Team performs about fifty demonstrations a year, at air shows, Formula 1 Grand Prix races, sports events and other occasions. Equally spectacular are the Breitling Wingwalkers, in which courageous acrobats ride on the top wing of two 1940s Boeing Stearman biplanes. The technique recalls the “barnstormers,” teams of pilots and stuntmen who performed worldwide between the wars. 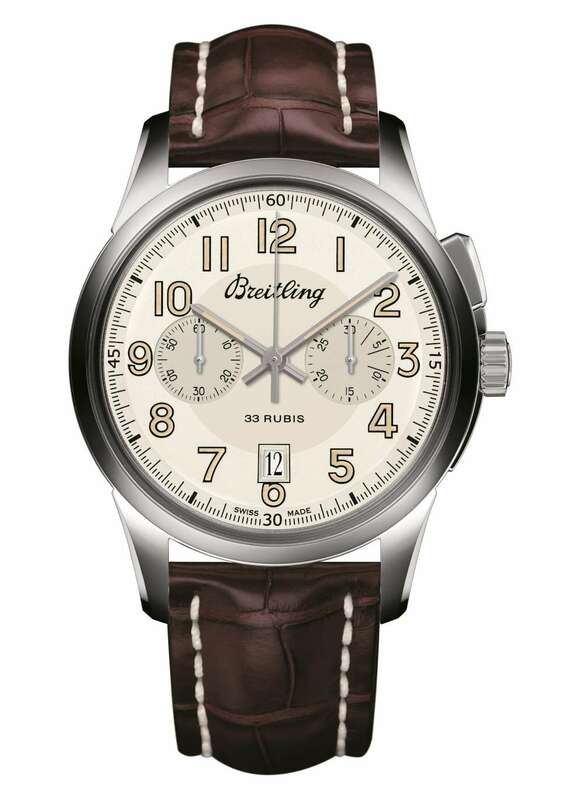 At the Baselworld 2015 show, Breitling present their Transocean Chronograph, a piece celebrating their 1915 model in which for the first time a separate pusher was provided for chronograph operation, rather than just the crown as had previously been the case. Zenith has an important anniversary this year: 150 years since its foundation in Le Locle in 1865, and in 2014 they celebrated another significant date with their Pilot Montre d’Aéronef Type 20 GMT 1903. 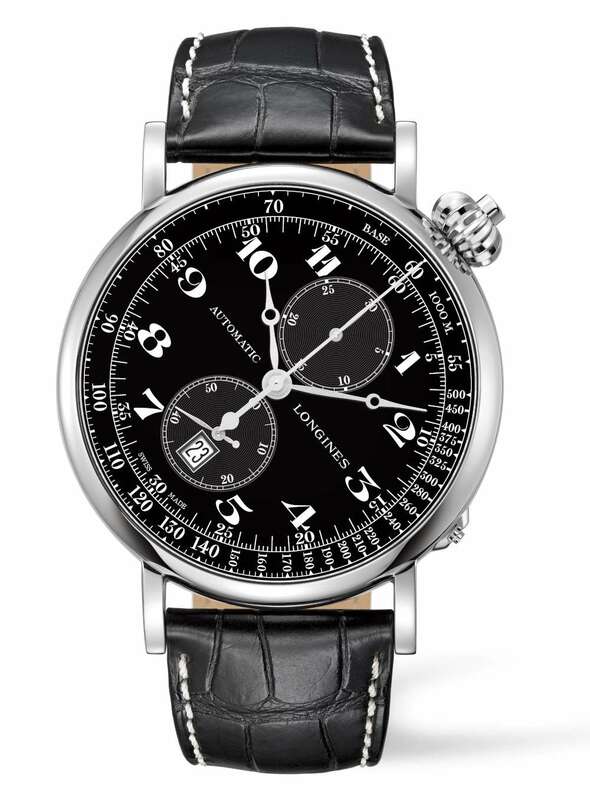 The watch, part of their extensive aviation collection, celebrates the first powered flight in history by Orville Wright in 1903, and it combines an ultra-modern black DLC-coated titanium case with some characteristically period features, such as the 48 mm case size, the large crown, and generously-sized Arabic numerals on which the SuperLuminova has an antique, mottled appearance, making each watch unique. The red GMT hand is easy to adjust with the pusher at 10 o’clock. The watch, powered by the Elite 693 automatic movement providing 50 hours power reserve, is mounted on a Bund-style leather wristband, a design that dates back to the German Luftwaffe. In the days of unheated cockpits in which the temperature dropped to well below freezing, a steel caseback could be extremely painful, and so the Bund strap, with its leather base, protected the pilot’s skin. In this commemorative piece, the caseback and wristband have embossed designs celebrating Orville’s 60-metre flight and Zenith’s long history of aviation watches. 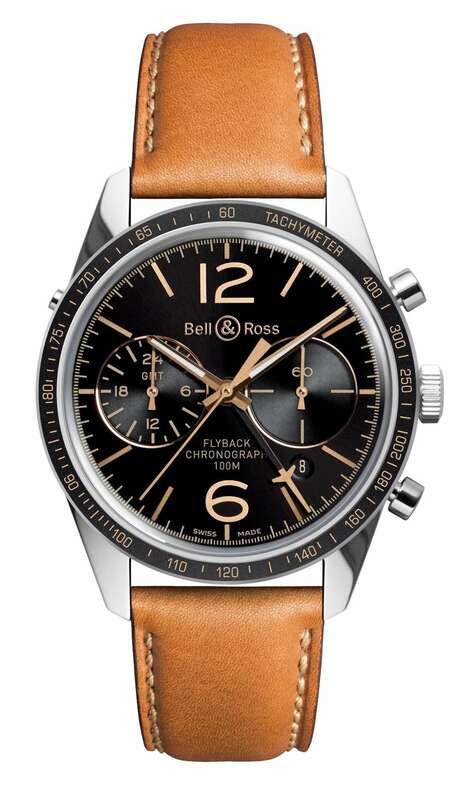 Bell & Ross is a French company specialising in watches that are often very close to cockpit instruments. Their BR 126 Sport Heritage GMT & Flyback cleverly combines two functions eminently suited to an aviation watch: the chronograph, and a second time zone, ideal for frequent fliers. 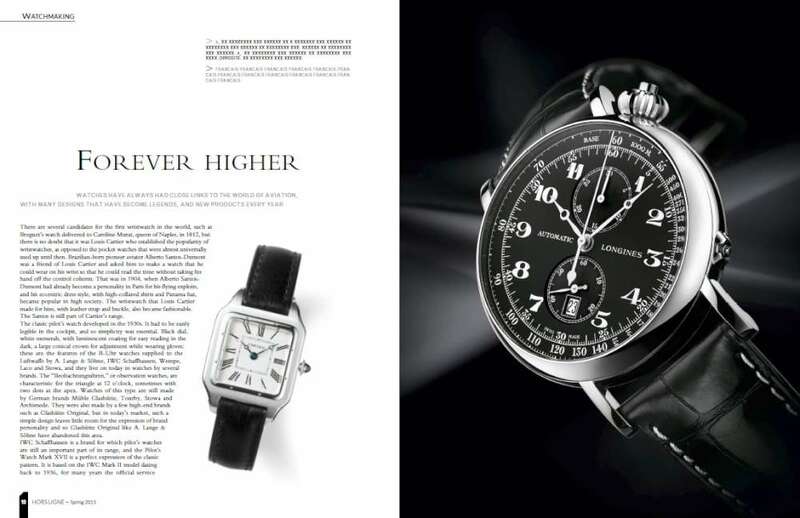 Swiss brand Longines acquired its winged hourglass logo far before man had achieved his dream of powered flight, and it turned out to be a prophetic move, because Longines have created many lovely pilot’s timepieces such as the Lindbergh Hour Angle watch designed by Charles Lindbergh, who made the first solo non-stop flight across the Atlantic in 1927, and the deliciously eccentric Avigation Watch Type A-7 in which the dial is angled with respect to the dial. It was originally made for 1930s American aviators who wore it on the inside of the wrist, so that when their hands were on the control column, the watch was perfectly visible, and the dial was aligned with the instrument panel. In a way, aviators could be thought of as midway between men and angels, and perhaps the undying appeal of aviation-linked watches can be explained by the romantic appeal of carefree enjoyment, courage and the ever-present possibility of tragedy. 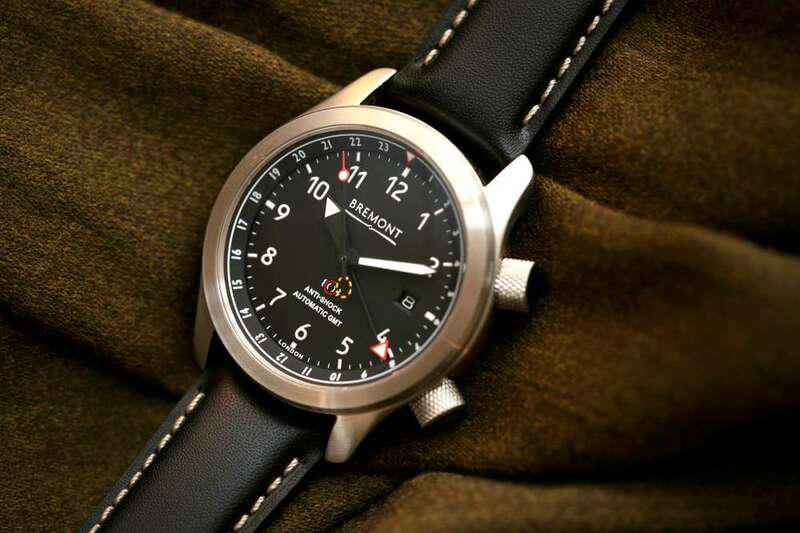 Bremont is a British brand born in precisely this way, founded by Nick and Giles English following an air accident in which their father Euan was killed and Nick seriously injured. They decided to perpetuate Euan’s memory by making his hobby of restoring old clocks into a profession. Another essential ingredient of their company came from an incident in the late 1990s, when they had to force-land their 1930s biplane somewhere in France. They didn’t want any problems with the French authorities, and so they gratefully accepted the help of a farmer who hid their plane in a barn. Nick and Giles decided that they would not forget the farmer’s hospitality. His name: Antoine Bremont. But perhaps the most evocative and romantic chronograph watch of all came from IWC in 2014, commemorating the last flight of Antoine de Saint-Exupéry. The writer had been flying since 1921, and had become famous for his books Vol de nuit (1931) and above all The Little Prince (1943). In 1944, he was not really cast in the mould of the dashing aviator, eight years over the limit for operational pilots, overweight and almost too large to squeeze into a cockpit, but nonetheless managed to secure a place in a squadron of P-38 Lightnings, where he continued his habit of reading novels while in the air, and even writing in the notebook that he always took with him in the cockpit. He took off from Corsica for a reconnaissance flight over the south of France on 31 July 1944, and never returned. Clues as to his last moments only emerged in 1998 when a fisherman found a bracelet marked with his name in the sea off Marseille; soon after, wreckage of his aircraft was discovered. IWC’s commemorative editions help keep the memory of Saint-Exupéry alive, and provide funds for the Antoine de Saint-Exupéry Foundation, a charity helping children and young people in many countries. Romanticism and precision are not all that far apart.